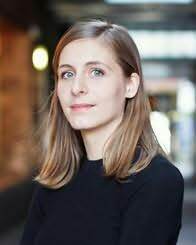 Eleanor Catton was born in 1985 in Canada and raised in New Zealand.She holds an MFA from the Iowa Writers' Workshop, where she also held an adjunct professorship, and an MA in fiction writing from the International Institute of Modern Letters. She currently lives in Auckland, New Zealand. She is the youngest ever winner of the Man Booker Prize for her novel The Luminaries. "A virtuosie debut: subversive, passionate, and darkly alchemical. Read it and be changed." "...delightful, eccentric, heartfelt, surprising, philosophical..."
"Sultry, sinister, hilarious and demented. Baby blazes with intelligence and murderous black humor. Heavenly Creatures for a new generation."